Malawi: The Past, Present and Future, by the president. On 6th July, 1964 Malawi got its independence from Britain, signaling a new era for Malawi. This is an important day for all Malawians because we are celebrating that we have not only attained 50 years of independence but also 50 years of peace, stability, progress and prosperity. It is a day when, as a nation, we are reflecting on how we have performed over the past 50 years and how we would like to move forward together in the next 50 years and beyond. 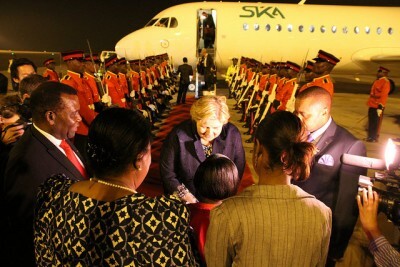 Prime Minister Erna Solberg, who’s been traveling with Foreign Minister Børge Brende in South Africa and Malawi this week, signed an agreement with officials from the UN and Malawi on Wednesday to fund schooling in Malawi. The country is among the world’s poorest, where only 35 percent of all girls and 41 percent of boys complete the eighth grade.